Prepare the beef patty as indicated on the packet. Stack the hamburger by starting with your patty and ending with your fried egg and onions (if used). 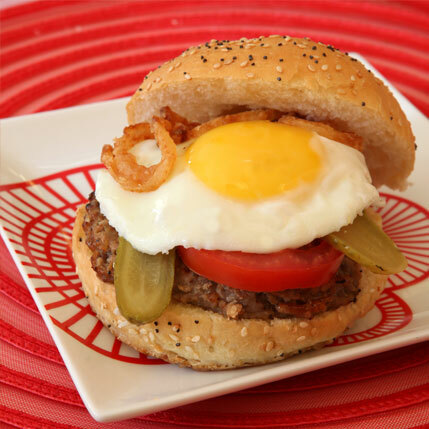 The yolk of a soft fried egg acts as a delicious stand-in burger sauce.